If you don’ kow who M.T. Keshe is then I think you should take the time to check this guy out. There are some circles who believe this man is an Antichrist candidate. I personally don’t think he is but he carries that spiritual gene of an antichrist. Let me explain. He is having a gathering on Mount Carmel on August 2nd and 3rd, 2017 for the world leaders (prophets of Baal) to sign a Peace Treaty. You caught that right? Mount Carmel is the “high place” where Elijah challenged the prophets of Baal to a “burn out” and won. Later on he slew all of Jezebels prophets. Now it looks like the challenge against God has come to the forefront once again. So this group that Keshe is involved in is also awaiting a prophet who will bring peace. And they are calling on all the leaders of the world to sign this peace treaty. You can find their website here http://universalhouseofjustice.bahai.org/. What is this House of Justice all about? “The Universal House of Justice is a nine-member body, elected every five years by the entire membership of all national Bahá’í assemblies. Bahá’u’lláh conferred divine authority upon the Universal House of Justice to exert a positive influence on the welfare of humankind, promote education, peace and global prosperity, and safeguard human honour and the position of religion. It is charged with applying the Bahá’í teachings to the requirements of an ever-evolving society and is thus empowered to legislate on matters not explicitly covered in the Faith’s Sacred Texts.” (http://www.bahai.org/the-universal-house-of-justice/). Here is what their Universal Peace has to offer (http://www.bahai.org/beliefs/universal-peace/). There is a Council of 9 that are immune to any law that sits on Mount Carmel in the House of Justice. And this place just happens to sit right in the middle of an Arch. Imagine that! The irony here is that Bahaism had been compared and connected to Zionism. So is this universal peace treaty connected to the nation of Israel and not just Bahaism? “Historical links between Baha’ism and Zionism have been published in many articles by many experts. Historical evidence and some apparent symmetries between these two phenomena, regardless of the examination of documents and evidence, raise serious questions about the affinity of these two in the minds of the observer. Abdu’l-Bahá, known as Abbas Effendi, the son of Baha’ullah (the founder of the Baha’i sect), during the First World War, through the influence and organization found on the territory of Palestine, was able to contribute to the implementation of the project on the settlement of Jews in the territory of Palestine. He paid attention to the British, who were supporters and even the founders of the Babiyah movement and then Bhaiyat. Jewish Zionist Center and Baha’ism, both located in the Occupied Palestinian Territory, one in Jerusalem and one in Akkah. Both of these sects, in their own way, justify imperialism and are supported by imperialism (which we will continue to discuss). 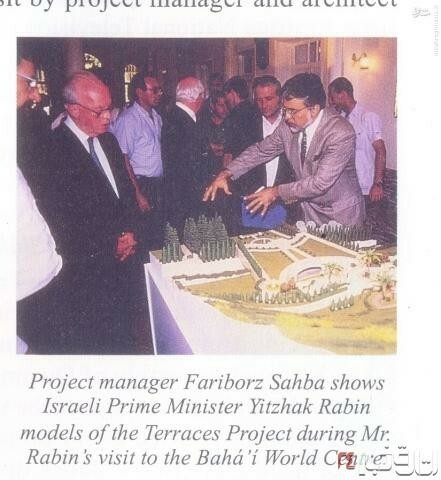 It has never been criticized by Zionist leaders and Baha’is… The so-called holy places of Baha’is are exempt from taxes and are protected by the Zionist army and security forces, while holy sites of Muslims and even Christians are subject to indiscriminate and permanent destruction. Palestinian landowners, who are landlords and lawyers, are being taken by Zionist troops, but the same indigenous land devoted to decades-long development by the army has been devoted to Baha’i respected places. 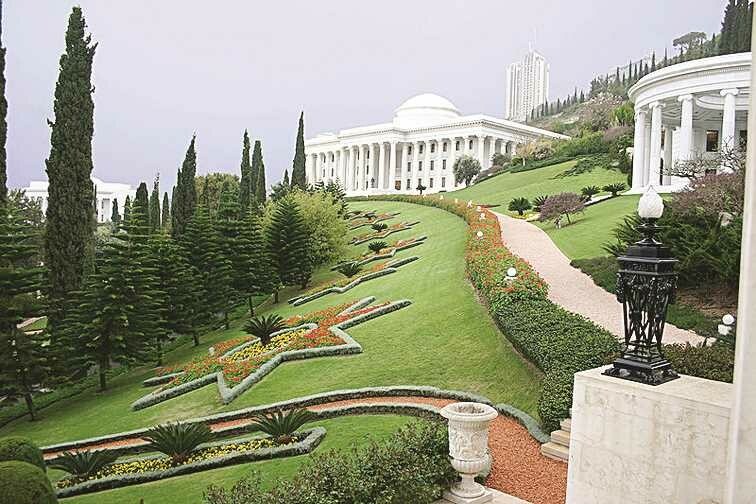 The ultimate goal of Baha’is is to form a unified global government led by the Universal House of Justice in Haifa in occupied territory, of which 9 members are recognized as infallible Baha’i sect and are not responsible to anyone except their conscience and the Lord! The ideology of the universal government, the centrality of Jerusalem, is also the basis of Zionism! Abbas Efendi (Abdu’l-Bahá), from 1909 to 1912, accepted Israeli leaders at their headquarters in Mount Carmel. And even though the peace treaty is supposed to happen in August, they already have the first nation signed on…the Cherokee Nation.